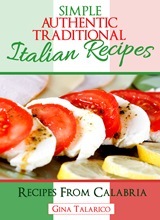 This is another favorite family recipe from our Aunt Rosetta. 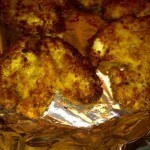 Cut chicken breasts in half or majority of way through like a butterfly cut. Beat eggs in a medium sized bowl, add splash milk and your salt and pepper to taste. 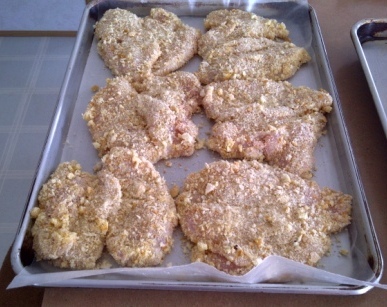 Using three separate containers for the flour, egg mixture and bread crumbs — start by placing chicken into flour then dip the chicken into the egg mixture and then coat with bread crumbs. 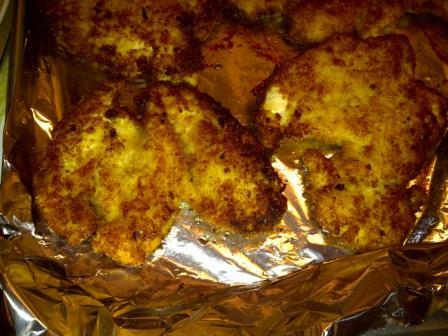 Place the breaded cutlet onto a cookie sheet covered with wax paper. Once all the cutlets are coated place in fridge for approximately 1 hour. Prepare your frying pan with a couple of inches of a Mazola corn oil or equivalent. When ready heat oil and gently place chicken into hot oil for approximately one minute on either side or until lightly browned. 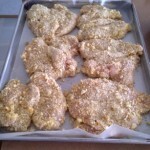 Place the chicken on cookie sheet covered with tinfoil and cook for an additional 60 minutes in your oven at 200 degrees F.
Serve with Pasta or any other side dish. They also make a great chicken burger by placing the cutlet in a freshly baked bun.